Israeli study shows variable sea level in past 2500 years | Watts Up With That? The sea level in Israel has been rising and falling over the past 2,500 years, with a one-meter difference between the highest and lowest levels, most of the time below the present-day level. This has been shown in a new study supervised by Dr. Dorit Sivan, Head of the Department of Maritime Civilizations at the University of Haifa. “Rises and falls in sea level over relatively short periods do not testify to a long-term trend. It is early yet to conclude from the short-term increases in sea level that this is a set course that will not take a change in direction,” explains Dr. Sivan. The rising sea level is one of the phenomena that have most influence on humankind: the rising sea not only floods the littoral regions but also causes underground water salinization, flooded effluents, accelerated coastal destruction, and other damage. According to Dr. Sivan, the changing sea level can be attributed to three main causes: the global cause – the volume of water in the ocean, which mirrors the mass of ice sheets and is related to global warming or cooling; the regional cause – vertical movement of the earth’s surface, which is usually related to the pressure placed on the surface by the ice; and the local cause – vertical tectonic activity. Seeing as Israel is not close to former ice caps and the tectonic activity along the Mediterranean coast is negligible over these periods, it can be concluded that drastic changes in Israel’s sea levels are mainly related to changes in the volume of water. In the present study, in light of earlier studies, research student Ayelet Toker and Dr. Sivan, set out to examine Israel’s sea level over the past 2,500 years, based on data deduced from many coastal archaeological findings. They made a careful selection of findings that have been reliably and accurately dated, and first focused on findings that were excavated by the Antiquities Authority in Acre of the Crusader period. These revealed that the sea level during the Crusader period – just 800 years ago – was some 50-90 centimeters lower than the present sea level. Findings from the same period at Caesarea and Atlit reinforced this conclusion. When additional sites were examined from periods before and after the Crusader period, it was revealed that there have been significant fluctuations in sea level: During the Hellenistic period, the sea level was about 1.6 meters lower than its present level; during the Roman era the level was almost similar to today’s; the level began to drop again during the ancient Muslim period, and continued dropping to reach the same level as it was during the Crusader period; but within about 500 years it rose again, and reached some 25 centimeters lower than today’s level at the beginning of the 18th century. February 4, 2010 in Sea level. Earth’s climate has changed in the past, is changing now, and it will change in the future – quite independently of CO2. We have just received an exciting press release from the Institute entitled “Cooling Forests can Heat Too”. at least in the immediate term. This is an important demonstration of how basic research enables us to better define solutions for global issues. station for the past ten years. Given that the entire Mediterranean sea has dried up completely at least twice and perhaps event three times in the past the as the Strait of Gibraltar opened and closed, that comment about the “negligible” “tectonic activity” could be a bit of confirmation bias. These drying periods have been proven by drilling and retrieving core samples, including thick salt pan layers, from under the deepest parts of Mediterranean Sea. The flow of water from the Atlantic Ocean into the Mediterranean Sea is hundreds, if not thousands of times greater then the flow of Niagara Falls. It would not take a massive change in the Strait of Gibraltar to restrict the flow into the Mediterranean to allow the level to drop through evaporation. Way off topic here, sorry. The Bohai and Liaodong bays in the Bohai sea have been frozen for a month now. They can be seen in the NSIDC daily image shown as open sea. I don’t think they should omit them just because they freeze so rarely. The scientist also had contact with Patrick Condon, an aeronautical engineer in Morris, Illinois, who runs a similar maths-oriented sceptic blog called Air Vent, and criticises “leftists” who promote global warming theories. A third blogger with whom Dennis has posted is Anthony Watts, a weatherman for a California radio station who is involved in a sometimes vituperative sceptic blog called Watts Up with That. He has had a book published by the Heartland Institute, a denialist organisation which until 2006, received funding from ExxonMobil. All three American bloggers, McIntyre, Condon and Watts, were initially sent links to the cache of CRU leaked material, via anonymous servers, on the same day, Tuesday 17 November. Hmmm, interesting… love this story. considering what they call anyone who does not agree with them. it can be concluded that drastic changes in Israel’s sea levels are mainly related to changes in the volume of water. This is a bit ambiguous. Why does the volume of water in the Mediterranean vary. That it does is not an explanation. Precipitation in the source regions and subsequent runoff to the Sea might help explain the volume therein – along with evaporation from the surface. Someone must have published on this topic. Maybe the full report of Sivan & Toker includes relevant information on why the volume changes or perhaps a call for additional funding to study precipitation in Switzerland and the Central African mountains. I’ll go along for standard daily rates. The inflow from all the rivers into the Mediterranean is insignificant compared to the inflow from the Atlantic. If the straight of Gibraltar was to stay open and all of the rivers dried up, the level would remain the same. The level of the Mediterranean is driven by Atlantic inflow and evaporation, the feeding rivers are not necessary. Apparently Michael Mann is innocent? A prominent US climate scientist at the centre of the “climategate” leaked email controversy has been virtually cleared of professional misconduct by an internal university inquiry. Sorry for being the third time I post this. Using, containing, or marked by harshly abusive censure. Anthony the Guardian dosn’t seem to like you very much !! Anthony you have been a naughty boy, how dare you question real climate scientists and have the efrontery to want to replicate their work. I’d imagine that those with a substantial incentive to ignore this (e.g. The ‘small island states’ who are due to receive billions in foreign aid) will systematically ignore this or claim bias. There seems to be a wilfull desire to pretend that the climatic changes of the past (sea-level, MWP, etc) don’t really count or somehow didn’t happen, forgetting that our ‘past’ was their present-day. Very off topic, but do I sense a very sceptical viewpoint from the comments in this Guardian article? I am thinking that the “believe temperature” ( to quote Tyndall’s Orwellian Working paper wp58.pdf) is taking a fairly sharp drop? Given that there’s 20 odd miles between the Pillars of Hercules this make sense. It reminds me of something my grandfather told me – he was stationed in North Africa during WW2, and had heard a story that Hitler had a long term plan to drain the Mediterranean by daming the Strait of Gibralter. Have no idea if it was true, or if it could be done. (But don’t think the elites in Monaco would be very pleased if the plan was resurrected). The haves and have yachts. 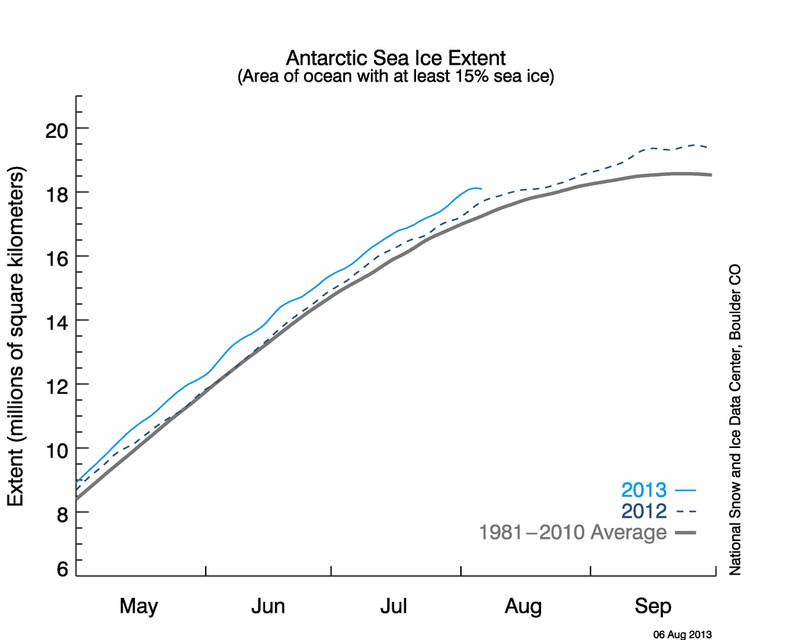 The sea levels will decrease because the antarctic sea ice extent is at an all time high! I think to rule out tectonics as a cause for sea level change in this region is a mistake. The area sits close to plate margins and there are many earthquakes in the Eastern Med as a result. In case anyone thinks that my grandfather was privy to Hitler’s inner circle, I should maybe add that my grandfather was on Monty’s side, not Rommel’s ! Does the deep sea-bed heave at all? Most liquid spheres in motion (especially spinning) will have a periodic oscillation in the fluid body (the mantle of the Earth). A reverberation. If the mantle under the oceans gently heaves by a few meters over a period of centuries, it would certainly have an affect of sea levels. 2500 years is a pretty long time. Torah was canonized 2400 years ago, around 400 BC. 😉 Things related to the sea and other issues were going up and down, yet many important things – and even things you would call details – were the same. For example, the Sea of Galilee was referred to as Lake Galilee in the Bible. It is amazing 209 meters below the sea level but it seems that it used to look the same when the Bible was being written. So even if you live at places that are so anomalously crazily below the sea level, you may continue to do so for millennia. The geometry around matters. And as the Dutchmen know, it is possible to live in a country where 20% of the territory is below the sea level. With a little bit of human work, you may increase the percentage even above that. Landfills are possible, too, although this finding was shocking for me when I learned about it in Boston. Of course, as the previous WUWT explained, the sea level has only been relatively stable for 6000 years or so, since the disappearance of the last continental ice sheets. The ice that is left can’t make much difference because Greenland and Antarctica would have to heat up a lot to melt. If the Earth warmed up by 10-50 degrees, substantial portions of Greenland and Antarctica ice could melt, but the change in the sea level would still be just a modest fraction of the changes caused by the melting continental ice sheets. On the warm side, there are simply no big changes waiting for us – even if the temperatures change 10 times more than the (already exaggerated) IPCC mean projections. The Med is a sea with a smallish connection to the ocean proper via the Strait of Gibraltar. Clearly its level will be affected much more by local changes in river discharge/rainfall and evaporation in the region than the worldwide sea level is. The castle’s other remarkable feature is the defended “Way from the sea,” a gated and fortified stairway plunging almost 200 ft down to the foot of the castle rock. Once, this gave access to supplies from the sea, but the tide level has since receded, leaving Harlech somewhat isolated upon its rock. During Madog ap Llywelyn’s uprising of 1294-95, this maritime lifeline proved the savior of the garrison, which was supplied and victualled by ships from Ireland. tokyoboy, no need to be sorry. This is a fascinating graph and it’s the first time I’ve seen it. Are there Japanese temperature records for the same period that we can use for correlation purposes? Does anyone know whether this was a localized event, or is it confirmed in other places? Without confirmation, I am not ready to extrapolate this to the entire globe, since Israel is on the far side of the Mediterranean, far from the relatively narrow connection with the Atlantic. The castle was constructed Circa 1290 what does this demonstrate? The real figure for Netherlands territory below sea level is 26%, so AR4 has it more than double. AR4 is looking like a joke a minute! This guy, Gerald Marsh, says that it isn’t CO2, or the Milankovitch Cycles that cause the Glacials/Interglacials, but Galactic Cosmic Rays. Roman warm period, water expands when warmed maybe, but there probably was no Roman warm period when the Mannian method is used. This article seems to raise more questions than it answers. Seems to be a very superficial press release. Is there an actual report associated with it? The article mentions “assessment” and “research” but not whether this will result in or has resulted in a published, peer-reviewed paper. Therefore I would largely ignore this press release until more substance is available. Having said that, I believe that properly presented sea level research is crucial to quieting the alarmist rumblings of doom. A friendly correction: The sea ice extent is referencing floating ice. The water level will not change if floating ice melts nor will the level change if the water becomes frozen. The water’s displacement is already accounted for, liquid or solid. Kind of anti-intuitive. Wikipedia puts it at 20% althought the reference is to a Dutch document so I can’t tell if it’s correct. Let’s face the facts that if there is a volcano in Antarctica that melts some of the ice, the sea level is bound to go up. And no amount of CO2 sequestration anywhere in the eco-system is going to change that fact. Excellent example of glacial rebound in my opinion. It’s the same with many Viking Villages in Norway that are now a long way from the edge of the Ffjord. Proves the point that you shouldn’t just look at local sea level changes and extrapolate this to a global sea level change. That the mediteranean sea rises and falls dramatically over time, unconnected to CO2 levels, is without doubt. Witness, for instance, Alexandria. 1600 years ago, under the water. Cars didn’t cause that. Other cities in the Med. Sea that were built on dry land, and then sunk completely. No doubt that there are hundreds more. Thanks for your comment please could you explain glacial rebound? I’d love to see that sea-level graph plotted alongside the most reliable (i.e. not with the MWP airbrushed out!) long term temperature reconstruction we have. From the sound of it in some places it correlates nicely (Romans and today) and yet in others (1700s) it’s completely out of phase. It would place a quite significant nail in the warmist alarmism if it became obvious that past changes were not always temperature related. Probably that there has been a lot of coastal sedimentation since 1290. It’s not so much that the sea level has lowered as that the coastline has moved outward. Cinque Ports originally received their charter circa 1100’s. New Romsey is 1.5 miles from the sea and Sandwich is 2 miles from the sea? I don’t think Anthony is ever vituperative although some of our comments may be. I thought that was a mean description when compared to say, Monbiot or Delingpole! And although I am no geographer I always thought that the Med was quite isolated from the Atlantic by the straits of Gibraltar – the tides in the Med are very, very slight, only a few measly feet – is that related? I pose a question to readers of this thread. I read a book by Thor Heyerdahl many years ago. In that book he described his assistance to the Maldives in recovering their pre-Muslim history. Towards the end of the book he described some research he did in India. He purportedly explored and described an ancient port (ca 5000 years old) which was a stunning 250 feet above the current sea level. Not much was left, but the quays could easily be made out, and there was still evidence of dredging. Has there been that much continental upthrust in that part of India? Or did the filling of the Mediterranean really siphon off that much of the ocean? Just asking, since Prince Philip is so seriously concerned about a purported six inch ocean rise during the last century. To quibble, that is not from “National Geographic” but is actually a Christian Science Monitor piece. One would expect the Dutch authorities to know their own country better than “National Geographic,” the IPCC, or even the supremely authoritative Wikipedia. But then again, one would expect “IPCC experts” to be able to do proper math as well. This is old news. Rhoades Fairbridge studied the sea levels years ago and demonstrated sea level changes of several meters over relatively short time periods. He also predicted the current cooling and increased earthquakes and vulcanism. Of course it’s taboo to discuss his theories on this site. I wonder about sea level in Roman Times. The docks at Ostia Antiqua and Pompey are a long way from the ocean today as is the pass at Thermopylae defended by the Spartans against the Persians. NASA breathing new life into old assessments, backtracking from CO2 doctrine? Yes, our sun is a variable star!!!!! About those charts of the Netherlands, the flooded area would be around 26-27% but its based on NAP (Normaal Amsterdams Peil) wich on itself is not correct because that is based on the high tides in the former Zuyderzee, wich is now the “IJsselmeer” east of Amsterdam, the high tides there where higher than those along the coast of the Netherlands. I doubt that IPCC has checked if those figures are based on the real sealevels or on the NAP, anyway a figure of 50% completely out of range. Another thing, sealevel rise, i live close to Hoek of Holland where the sealevel has risen 19 cm between 1888 and 1995, an average of just 1,7 mm a year. Up north in the town of Harlingen (where i was born) its just 13 cm over the same period, an average rise of 1.21 mm a year. We might be vituperative, but at least we don’t mess with the numbers (and with the tree ring[s](Briffa, you know why i made the “s” optional)). Currently, the Dutch consider that 20% of land below sea level is about right as a round figure. The figure changes because more land is being reclaimed. As far as the IPCC is concerned, giving them the benefit of a few years before 2007, they could have checked official government statistics from CBS (Central Bureau of Statistics, “Statistics Netherlands”), which in their Statistical Yearbook of the Netherlands 2004, page 451, gives the figure as 24%. “It its 2006 climate scenarios, the Royal Netherlands Meteorological Institute (KNMI) predicts that sea levels along the Dutch coast may rise by 35 to 85 centimetres. This is larger than the global average rise foreseen by the IPCC. Current technology enables the Dutch to reinforce its shore protection systems at socially acceptable costs (MNP, 2007b), even if the rate of sea level rise increases to 1.5 metres per century as a result of the increasing melting rates of the large land ice caps. Highly susceptible, my foot – it can easily withstand sea level rise FOR CENTURIES at moderate cost and existing technology – i.e. it’s business as normal for the Dutch. Looks like Glaciergate all over again. What is in the IPCC report is a lie, and a cruel hoax. It seems to me reading the press release and many of the comments following that what we are looking at is a combination of several things. At the end of the last major glaciation when the ice sheets withdrew from the middle latitudes to the high latitudes the sea level rose due to run off from the melting ice on land. It appears that we are still seeing rising sea levels due to rising earth mass due to decompression with the loss of ice weight on the land mass. If the land mass rises the area of the dry land increases and this would force the sea into a smaller surface area which would cause a rise in sea levels where the land mass isn’t rising. Water doesn’t compress so it has to go somewhere so it rises. Perhaps this would explain some of the variability noted in the article over the past several thousand years. cooler periods the level drops warmer periods it rises. The amounts we are speaking of in recent recorded history are not unusual when put in perspective to the events before recorded history in the geological past. With the capabilities we have now we should be able to cope with any changes coming down the pike if our governments will focus on adaption rather than prevention. I am sure we can adapt. I am not so sure we can change or prevent climate variation. Can anyone help me reconcile these two statements from the article? Wikipedia has a nice article on it. It’s a proccess where the land rises up after removing the weight of ice sheets from the last ice age. It’s effects can be seen over the Northern Europe and America. What about the level of the GROUND above the sea level?, this changes too with plate tectonics. (4) failure to comply with other applicable legal requirements governing research or other scholarly activities. They might as well be lauding his having been cleared of practicing Wicca and also having passed the urine test for anabolic steroids. He’ll keep his gold medal in “flinging fiction” it seems. Why would the size of the Strait of Gibraltar make any diff to the level of the Med? I have 2 dams next to each other on my property connected via a small channel. If I narrowed the channel, all it would do is increase the speed of water flow. Unless I made it so narrow that the quantity of water transfer is exceeded by the amount I take out of the 2nd dam. i.e In the case of the Med and Strait of Gib, the amount evaporating from the surface of the Med would have to exceed the amount flowing in (faster) from the Atlantic. Somehow I don’t think Gibraltar is an issue here. I looked into sea-level rise in the Med a while back, provoked by the claim in tv prog that the Nile Delta was being flooded by rising sea level. The Nile Delta is in fact subsiding because of the absence of the annual deposit of silt that was ended with the building of the Aswan Dam upstream in 1970. Change in sea-level in the Med also varies from West to East and is highest in the Eastern basin where Israel is located and is less apparent in the Adriatic or Balearics, for example. I do not understand the author’s dismissal of volcanic/tectonic activity in the region. The Med is a very active volcanic region and subject to many earthquakes. Sounds like Israel has been going up and down like a see-saw historically. This tells us nothing about the change in the volume of water sloshing around in the earth’s oceans. I recall a paper that was published some seven or eight years ago that mentioned the sea of Galilee was likely to have surface ice some 2000 years ago. The author hinted that the cold conditions then may have led to the story of Jesus walking on water. I contacted the author, mentioning that his study was consistent with the Holocene sea level work of Rhodes Fairbridge. He appreciated the confirmation, but lamented the nasty letters and emails he was getting (for obvious reasons). Going further back during the Eeminan Interglacial, a paper published two years ago reported the first evidence of human culture at a cave at Es Skhul (near present day Haifa). Back then, the sea was only a few hundred meters from the mouth of the cave system. Now the sea shore is several kilometers away. We have a lot of warming to go through before we get to the natural limits documented over time, particularly in that area. Damn that Israeli Oil Lobby! . . .The police have now moved on to a series of “very detailed” approaches to the overseas bloggers and members of their chat forums, asking if they had access to university passwords, and if they have any theories of their own. Wow … this deserves a thread of its own. If this is verified it completely resets several climate theories, not the least of which is CO2=AGW. I may be missing your point, but the Strait of Gibraltar did not close or open in the sense that a sluice gate does, but rather sea level fell until water could no longer pass over the shallow sill. This cut off the flow of water into the Mediterranean from the Atlantic. It is a situation like the communication between the Mediterranean and the Black Sea. However, I paused at the statement that there is no tectonic activity along the Mediterranean coast over such period. The region is obviously tectonically active — perhaps little occurs over a period of a thousand years (like the Central U.S.), but I’d need some convincing that the coast of Israel remains stable just the same. Interesting that sea levels, global mean temperature, glacier length, Arctic ice area and any other climate metric you care to name are all either going up or down over time and are never stable. But within this maelstrom of change there are tantalising quasi-cyclical periods of order and stability which stay until turbulence raises it’s head. Looks like Edward Lorenz was right back in the early 60’s when he stated that climate was driven by deterministic chaos and would always be unpredictable. Seems that climate science has forgotten this simple fact, but still postures and struts to the tune of our corrupt politicians. Sad. I echo another poster on that one: to neglect the senestral movement over 2,500y along the 1,200km NS transform Dead Sea fault seems quite a rich proposal. Slip rate is 4.9mm/y +- 1.4 for the past 6 years, not negligible imo. Here’s another idea: when there is more ice mass above sea level at the poles, this causes the polar axis to compress, and bulging the planet further outward at the equator. This lowers sea levels and forces more water to the poles, which increases the polar compression, further bulging the equator. This process can cause far more significant changes in sea levels nearer to the equator than is justified merely by changes in ocean volume. It is also very possible that the sea level is going down over there. That statment is utter, unambiguous poppycock. The Jordan Valley is an active rift zone where Israel is being separated tectonically from western Asia. It is essentially an extension of the Red Sea Valley and the great rift zones of eastern Africa. The Mediterranean itself is over supplied with faults and volcanoes and the history of seismicity is one of the most intense on the planet. Tectonism, in addition to faulting, causes buckling and long, very slow moving “waves” of structural movement that can raise and lower land surfaces over millenial, century-long and even decadal time spans. The USGS monitors “bulges” because of the potential that energy stored in such structures might release abruptly through faulting rather dissipate in plastic deformation. NO place with a notable history of seismicity can be considered to have “negligible” tectonic activity. Further, the word “negligible” begs questions as to what “significant” would mean in the same context. A single earthquake within the historic period elevated portions of the Sierra Nevada over 10 feet. Yes, read it. It should also be noted that since oceanic water breached Gibraltar, the Bosporous, and the Red Sea thousands of years ago, the mass of the inundation water will have cause significant loading upon the Earth’s mantle locally, raising sea levels over time as the mantle is depressed locally with viscous mantle mass forced into neighboring areas. I am but a simple car mechanic but I know that Istanbul stands on at least 3 intersecting fault lines (I used to get Nat Geographic at one time) and have seen photos of the sunken modern buildings on the coast of Turkey (water level half way up the window frames of the ground floor. How can anyone determine what effect all the plate movement has on global sea levels? it seems to me to be vastly more complicated than the, so far unreachable, holy grail of accurate weather prediction! even if CO2 was a problem (and I am sure it aint) taxing the west into 3rd world poverty is the dumbest way of coping with the wholly unpredictable changes. The Dutch know better than anyone else how to protect from flooding. Heck, if New Orleans had hired Dutch engineers some years before Katrina, then Katrina would have never happened with respect to the massive flooding and damage. I’ve been there, I’ve seen it. Any place in the world that is *sincerely* in danger from rising sea levels just needs to hire a bunch of Dutch engineers. Quite. In Welsh, an area where estuarial/riverine sedimentation or dune has in effect moved the coastline out is termed a morfa (f sounds as a v in Welsh). The area below and beyond the castle seaward is called Morfa Harlech. “Morfa Harlech is one of two extensive sand dune systems which make up much of the soft Meirionnydd coastline, extending from the Mawddach estuary in the south to Black Rock Sands in the north west. … In fairly recent times the sea lapped at the base of the cliff on which Harlech Castle stands, but the accumulation of sand and the development of the dunes gradually pushed the shoreline westward.